- Company’s investment in R&D upholds at approx. 20% of annual sales, and its R&D force accounts for 70% of its total employees. 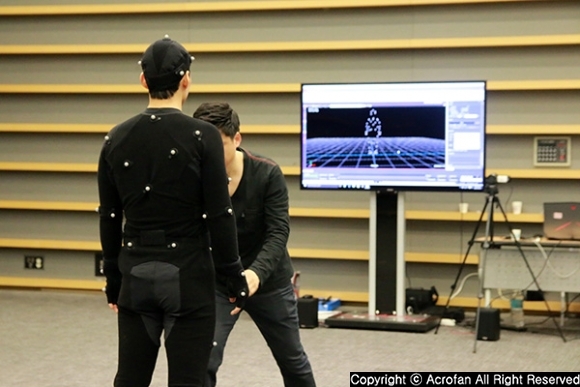 - Various R&D facilities built in-house include a motion capture studio, 3D scan studio, and a large-scale sound studio. - Throughout its 21 years of thriving business in online games, NCSOFT has demonstrated the power embedded in its major franchises – Lineage, AION, Blade & Soul – and now extends its value across different platforms. - NCSOFT strives towards technology-driven innovation as well as securing leading-edge artificial intelligence technology. 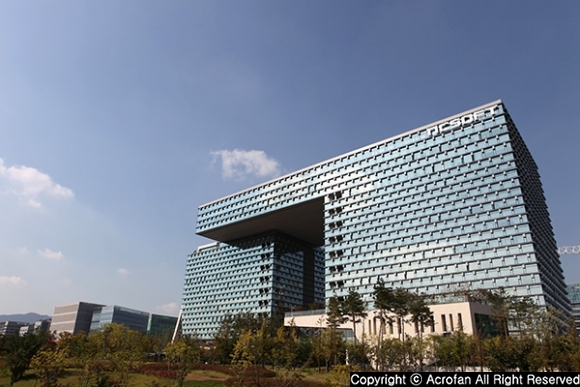 NCSOFT Corporation (CEO Taek-Jin Kim), a leading global game company headquartered in Korea, led to the popularization of internet based online games in the country by successively making hit PC online games ranging from Lineage (1998), Lineage 2 (2003), AION (2008) to Blade & Soul (2012) as well as Guild Wars franchises. Founded in 1997, the core driver behind NCSOFT’s accelerated growth over the past 21 years essentially resides within continued research and development (R&D) as part of the company’s DNA. The company’s philosophy taking R&D with the utmost importance and an ongoing investment made it now a technology-driven game developer. The composition of employees and investment scale simply demonstrate how R&D is positioned as part of the company. According to its recent financial report for the third-quarter of 2018, 2,323 employees, which account for 68% of the total 3,397 employees of the company, are dedicated to the responsibilities in R&D. NCSOFT, as a technology-pioneer at the forefront in the game industry, continues to invest in securing the excellence in infrastructure technologies for game development. 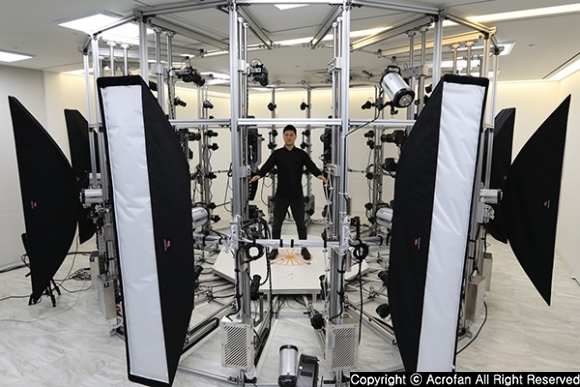 It has built a motion capture studio and 3D scan studio for the first time in the country as a game developer, with the purpose to create the most realistic moves for in-game characters. It is also the first game company in Korea that built a sound studio in-house; and has the largest sound studio facilities compared to other local game studios. Its sound studio has a 5.1 channel video sound mixing room and a Foley studio (sound effect recording room), where various sound effects of games are recorded. In addition to the accumulated technology and expertise, NCSOFT moved quickly to secure next-generation technologies. It considers artificial intelligence (AI) a technical tool for problem solving, and concentrates on securing various AI fundamental technologies. NCSOFT strategically focuses on creating future competitive strengths in the overall IT fields through securing AI fundamental technology. 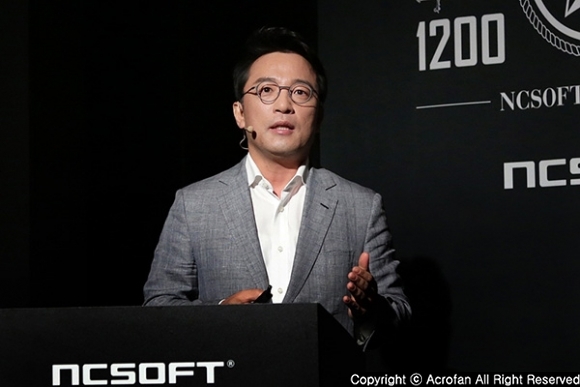 NCSOFT's AI research and development started when Dr. Song-Yee Yoon, CSO of NCSOFT and CEO of NC West, initiated the task force back in 2011. As early as 2011, NCSOFT envisioned AI as a core technology and initiated R&D in the field. Today, NCSOFT’s AI R&D takes place at its AI Center and Natural Language Processing (NLP) Center under which five labs are dedicated with various different fields. AI Center includes a) Game AI Lab, b) Speech Lab, and c) Vision AI Lab; and NLP Center includes a) Language AI Lab, b) Knowledge AI Lab. Currently, more than 100 R&D forces are working directly with Taek-Jin Kim, CEO of NCSOFT. Recently, NCSOFT has attracted attention from the eyes of the public by presenting an AI with skills on a par with professional gamers. In September, NCSOFT has unveiled its AI with professional gamer skills at the finals of its own e-Sports league, ‘Blade & Soul Tournament 2018 World Championship’, where Blade & Soul’s PvP competitions are held to determine the strongest champion in the world. The company’s AI R&D – namely Game AI, Speech AI, Vision AI, Language AI, and Knowledge AI –are essentially applicable beyond just games. Rather than having an AI technology that simply tries to solve short-range problems, NCSOFT is concentrating more on in-depth R&D that can solve fundamental problems and can be used in various ways. NCSOFT's AI research is not restricted just to games, but will be opened and applied to any area where it can develop outstanding technologies and innovate. NCSOFT plans to expand and strengthen its investment in AI as well as in fostering AI research specialists and professionals. To this end, it is proactively engaged in recruiting talented professionals in the field. NCSOFT plans to expand development and investment to create new value by applying AI to various fields such as online and mobile. ▲ At ‘Blade & Soul Tournament 2018 World Championship’, PvP matches took place between AI and professional gamers, which recently caught attention of the game industry. NCSOFT is the home for globally acclaimed franchises including Lineage, Lineage 2, AION and Blade & Soul. With solid story composition, content, and innovative game play, it is playing an active role as winning intellectual properties (IPs) across the platforms and regions. Since the company was founded in 1997, NCSOFT has been investing to build solid original IPs and for its expansion. With approximately five years on average to develop an NCSOFT title, it concentrates its development efforts on every corner – from world view, story, character, graphics, and sound to bring the best possible game play experience. Having secured various IPs, NCSOFT is continuing to expand and add value to its IPs by connecting the world view and story of each game and continuing development with new device platforms such as mobile and console. ‘Lineage’, which led to the popularization of Korean online games in 1998, has been in service for 20 years as of this year. 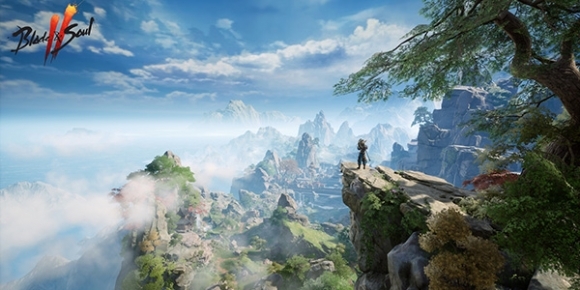 Following on with Lineage, the company’s representative IPs include: a) ‘Lineage 2’, a sequel set in Lineage’s world view of 150 years ago and presented high-quality 3D-graphics, b) ‘AION’ with abundant fantasy adventure and flight features ranked first in Korea’s PC-bang (internet cafes) ranking for 160 consecutive weeks, and c) ‘Blade & Soul’, which depicts Eastern world view and colorful martial arts and is being serviced in nine countries throughout the world. Each game is further enhancing its value in the mobile market. NCSOFT released two mobile games based on its own IP of Lineage. The company launched ‘Lineage Red Knights’ in December 2016 and ‘Lineage M’ in June 2017, respectively. ‘Lineage Red Knights’ is a reinterpretation of the original Lineage characters and world view in a creative way. ‘Lineage M’ fully realizes the core elements of the original Lineage on mobile, and has implemented a control method and game system optimized for the mobile platform. Since launching in June 2017, it has maintained the top #1 position of gross sales in Google Play. It has topped the list of the local mobile games with 5.5 million pre-registration accounts and KRW 13 billion as the highest daily sales. ‘Lineage M’ in Taiwan is also in its top ranking in gross sales in Google Play since its launch in December last year. NCSOFT's IP expansion is being actively pursued with not only in-house development but also in collaboration with local and overseas partners. 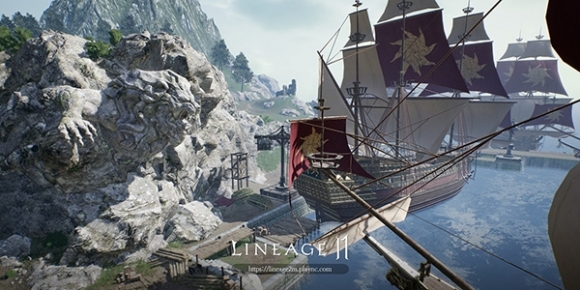 In particular, through cooperation with well-known developers, ‘Lineage 2’ was reborn as new games; ‘Lineage 2 Revolution’ by Netmarble in Korea, and ‘Lineage 2: Blood Oath’ by Snail Games in China. In July this year, 37Games in China also launched the web game called ‘Honor of Blood Oath(血盟榮耀)’ in China. 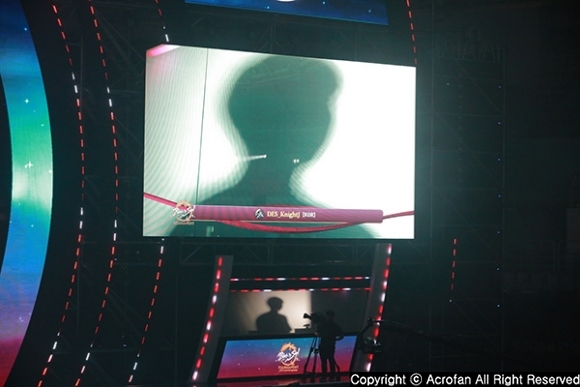 37Games presented at China's biggest game show 'China Joy 2018' held in early August and received a high response from the players. NCSOFT is leading the way in R&D and investment for IP expansion. It is developing mobile MMORPG project currently under development, ▶'M' line-up, which developed the original IP into mobile, and ▶'2' line-up, which is a new numbering title and sequel with mobile. Lineage 2M is a mobile MMORPG under development with full 3D-graphics. NCSOFT implemented the largest seamless open world, and its size reaches as large as 102,500,000㎡, which is the largest land map among mobile MMORPGs in the country. This is only respective to the continent of Aden. Upon launch, NCSOFT plans to expand the world with a new continent, doubling the size of the entire seamless open world. The game features extreme freedom and large-scale RvR (Realm vs Realm) battle. NCSOFT also plans to present a realistic world, where all players become part of the world, without any interruption in between. Lineage 2M is under development for release in the first half of 2019. AION 2 is the sequel to AION. It is the new numbering title of AION’s IP as mobile MMORPG. It is set in the world 900 years prior to the war between Elyos and Asmodians broke in AION. 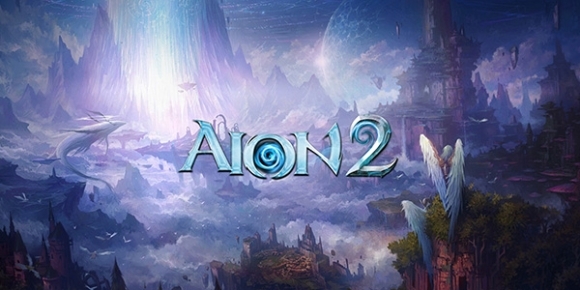 AION 2 features three-dimensional battles such as cracks of the world’s time and space, which connects to another server, and free gliding. Blade & Soul 2 is an official sequel set in the era after the original Blade & Soul. The heroes of the past become the legends, and the following new adventure becomes the next story. Areas that have not been seen in the original Blade & Soul are newly opened. Blade & Soul 2 continues unique sensibility, stylish action, and solid story line from the original Blade & Soul. Blade & Soul M presents evolved stories, combat, and graphics based on the emotions and fun elements of the original Blade & Soul. 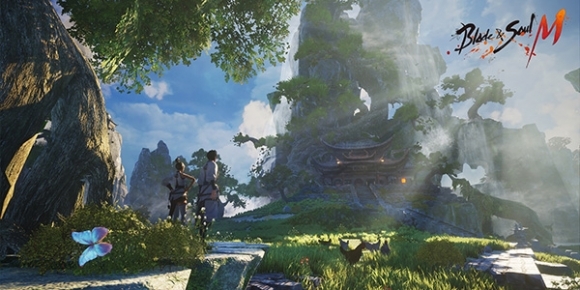 It features that users can get their own storylines in accordance with their choice along their play within the same world. In Blade & Soul M, the flying skills are implemented as a means of combat with a sense of action beyond the means of movement. 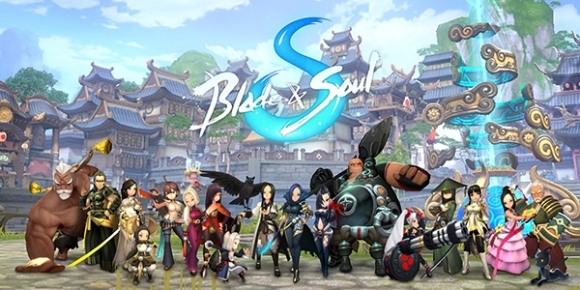 Team Bloodlust, the team that produced the original Blade & Soul, is taking on the development of Blade & Soul M.
Blade & Soul S is a prequel that tells the story three years prior to the original Blade & Soul. It is a mobile MMORPG that all players communicate and compete together in an open world. Users can feel the fun of the story expanded and deepened the world of Blade & Soul with characters’ hidden stories untold in the original version.